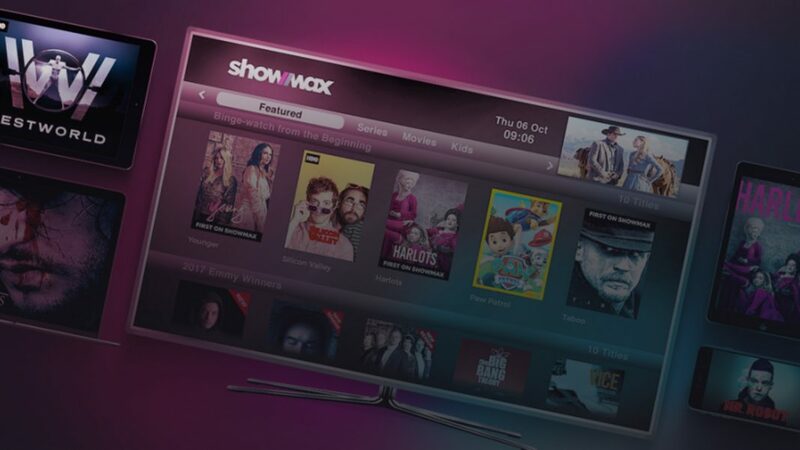 Showmax has been around since 2015, and while the service is brilliant for TV addicts and everyone who wants to be able to binge-watch their favourite shows when and where they want without being interrupted by ads, there are still some South Africans out there who haven’t experienced it yet. And the real shame is that there are DStv Premium subscribers who have no idea how or why to sign up to Showmax, even though they can do so for no additional cost. That’s right – you might have heard about Showmax’s 14-day free trial, which gives you two weeks to test the service before you’ll be billed the standard R99 per month, but did you know that DStv Premium subscribers get unlimited access to Showmax without any additional charge? Considering that it’s totally free to DStv Premium customers, getting Showmax seems like a no-brainer. But you might be thinking it’s too complicated to link Showmax to your account, or to set it up on your devices. So let’s look at how simple it is to get Showmax as a DStv Premium customer, and what you need to do before you can start watching. Signing up to Showmax as a DStv subscriber is a quick and easy process. All you need to do is go to www.showmax.com and sign up with your email address, phone number and your SA ID. Confirm the OTP that is sent to your smartphone, and when you have to choose your payment method, select DStv Add to Account. And that’s it. You can now start watching Showmax on up to five different devices, and any two devices at the same time. Get the Showmax app for your smartphone, tablet, gaming console and smart TV, or watch on your Explora or through your browser on your laptop or PC. And since you can watch on any two devices at the same time, while you’re streaming Vikings Season 5 through the Explora or the app on your smart TV, your kids can be off bingeing on Paw Patrol on your tablet. One of the most convenient features of Showmax is that you can download up to 25 series episodes and movies onto the app to watch when you’re offline. This means that you’ll be able to watch your favourite series while you’re on a plane, and your kids can watch episode after episode of Dora the Explorer, Peppa Pig and Doc McStuffins during your holiday road trip, all without needing the internet. Showmax gives you the option to download at different qualities to save on data. Don’t bother getting children’s shows at high quality on the app on your smartphone – you’ll get away with downloading on the lowest quality setting because your smartphone screen is relatively small, and your kids won’t notice the difference. Which means you’ll save on data even when you’re downloading. And the bandwidth capping feature lets you choose the quality at which you stream. Opt for the lowest quality setting to really save on data, especially if you’re streaming on the small screen of your smartphone or tablet. Showmax offers its subscribers access to series that aren’t available anywhere else, including the latest instalment of Vikings Season 5, which comes express from the US every Friday as of 30 November; the adults-only steamy series The Girlfriend Experience; binge-worthy comedies like AP Bio and Future Man; the latest season of Doctor Who, which is making waves worldwide; HBO’s smash-hit Succession; chilling horror series Channel Zero; and many, many more exclusive series. There are also tonnes of fan favourites, from Big Bang Theory and Westworld to Counterpart and The Handmaid’s Tale, not to mention a line-up of hilarious Adult Swim comedies, including Robot Chicken, Rick and Morty, Aqua Teen Hunger Force and Black Jesus. New local and international series, movies, documentaries and kids’ shows are added every week. If you’ve got DStv Premium, you have nothing to lose and everything to gain by giving Showmax a try. It has a wide array of movies and TV shows to suit every taste, and has the added advantages of being easy to set up available on a number of devices and giving you the option to download series episodes, kids’ shows and movies for offline viewing. Try it today by signing up at www.showmax.com/dstv.